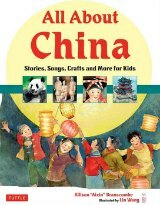 These are some of our favorite China Books for children we have come accross. 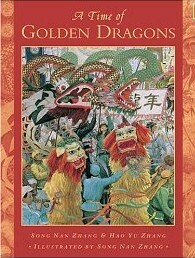 They are a good introduction to the different themes, anything from the Great Wall to Chinese Festivals. They are all nicely illustrated, some include Music CDs or CD-Roms with interactive activities to draw the kids into the stories and keep them engaged. 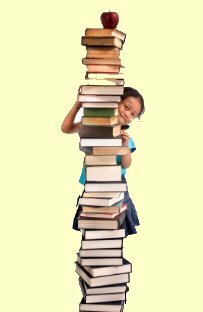 We have indicated the recommended age group for each book. We encourage you to visit your local library and check them out. Some of them are certainly keepers we have enjoyed paging through them again and again. If you find that you want to buy them as well, we would appreciate you using one of the links provided on this page to Amazon.com. We receive a small commission from all items sold through any of our links which help us maintain this site, and we also donate part of the proceeds to Save The Children. Thank you for visiting and we hope you come back and share your favorite books as well, here is how to Contact Us. With the wonderful color photos, clip art CD and poster included, this book is a keeper. This book is one of a series on Ancient Civilizations: Ancient Egypt, Ancient Greece, are also wonderful. Ages: 9 and up. A beautiful and engaging book, the illustrations alone are worth a peek. As the title says, it's all about China. It takes you on a historical journey... inventions, dynasties, landmarks, colorful festivals, until the present day and every day life in China. 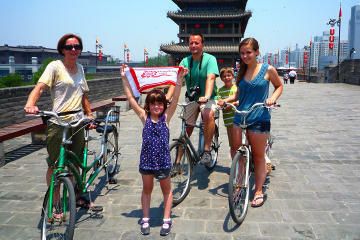 Although incredibly comprehensive covering many aspects of China, it is very manageable for children. It is not only informative and a great resource but also entertaining. A topic like Feng Shui will be approached with the children's bedrooms as examples, and the activities are fun as well, easy long life noodles recipes, chinese new year crafts, etc. It's available as Kindle download $9.99, the graphics look quite stunning in the iPad! Ages: 4-8. 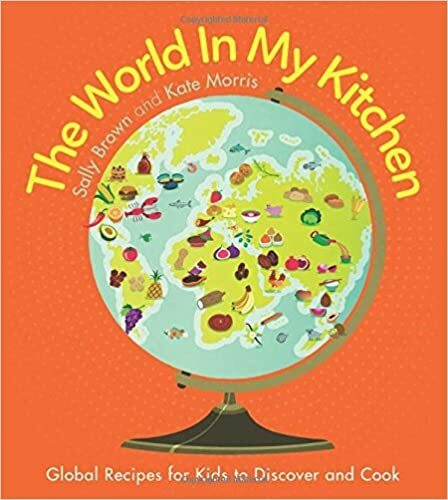 This book is first in a series by Whole Wide World Toys, a small family-owned company that develops multicultural books and toys that teach children about fascinating world cultures and faraway places to inspire curiosity in their little minds. My China Travel Journal is the story of Emma (9) and Joe (7) and their adventures in China, flying kites with their new Chinese friends, spotting strange vegetables at the market, eating candied crab apples from the street vendors... Lots of fun pictures make the book come to life. 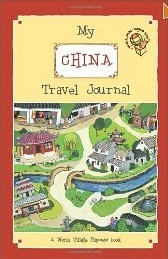 This is NOT a travel journal for kids to record their travel experience, it is about Emma and Joe's experience in China! The e-book is FREE with Kindle Unlimited! Ages: 6-8. This book is ideal for children who are beginning to read alone. 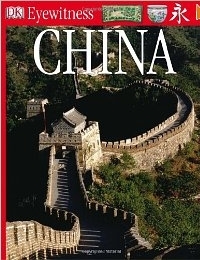 It is the closest thing to a "China Travel Guide for Kids" we found. 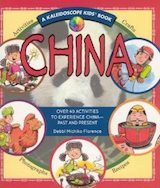 As with the DK Eyewitness Travel Guides, the wonderful photographs, illustrations and stories for this age group, let children find out about China's history, its culture and what day to day life is like now. This book is part of the DK Readers series, the multilevel program that encourages reading skills as well as general knowledge. 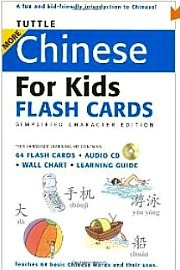 This book is a Level 3, for children reading alone but not yet proficient readers. Beautiful graphics with text for the younger child to understand are accompanied by additional detailed explanations on each page, allowing this book to grow with your children. Ages: 5-11. 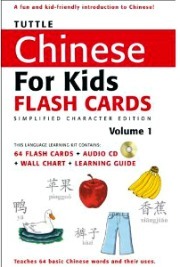 In a format similarly to the above where each letter of the alphabet is assigned a "topic" about Chinese history, geography, nature, etc. Although the reading level is suitable for young children, some of the topics are more geared towards the older ones, the title says it itself "People and Places", 5 year-olds probably won't care much about M is for Mao. That said, the information and illustrations are top notch, for any kids interested in learning about people, places and history, this book is a gem, all told in very easy and interesting language. 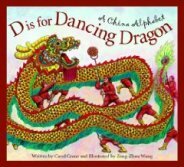 For more general topics about Chinese culture or a light introduction, D is for Dancing Dragon above would make a better choice. Ages: 7 and up. 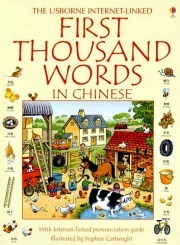 From the series "Look what came from..." the China edition does not dissapoint. 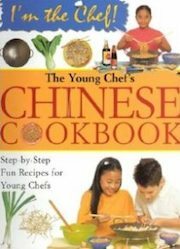 Great for use in the classroom, it describes many of the things that originated in China, not only inventions but also food, arts and crafts, medicine, musical instruments, sports and games... 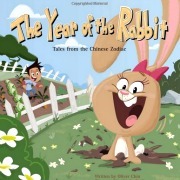 Kids will have fun discovering things that we see or use in our every day lives that actually originated in China. Ages: 6 and up. 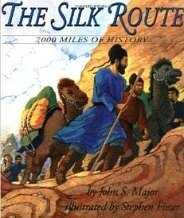 A wonderful picture book that takes you on a caravan accross the Silk Road and all the stops along the way. 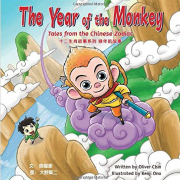 Each page brings to life the different cultures encountered as the caravan traverses the vast and diverse lands, making a great introduction to this important part of Chinese history. Ages: 4-8. 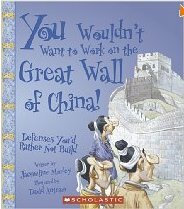 This book is not only about the Great Wall, but an excellent and fun way to illustrate life in Ancient China. It has been used in classrooms as support material. 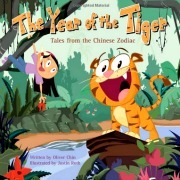 The book is packed with facts and graphics making it a fun learning experience for the kids. This book is part of the "You wouldn't want to..." series of books covering other Ancient civilizations, including the popular "You wouldn't want to be a Roman Gladiator!" and "You wouldn't want to be an Egyptian Mummy!" Ages: 9 and up. Tells the story of the events leading up to the building of the Great Wall, from the battles and conflict between the Han Chinese and the Nomadic Mongols and throughout the various Chinese dynasties. The abundant graphics, map and timeline add much to the story and keep the youngsters interested. 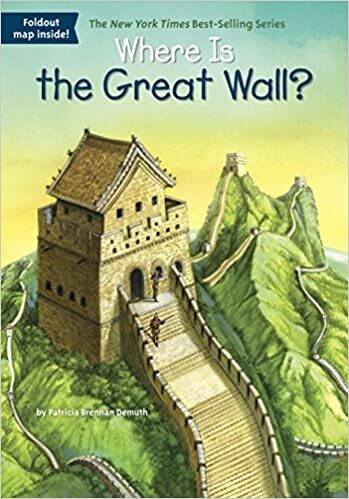 This book is part of the "Wonders of the World" book series, which also include tittles as "Taj Mahal: A Story of Love and Empire" and "The Great Pyramid: The story of the farmers, the god-king and the most astonding structure ever built"
Ages: 8 - 12. 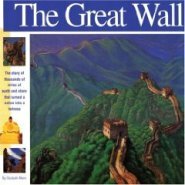 Part of a New York Times best-selling series that includes "Where Are The Great Pyramids" and "Where is the Grand Canyon", this book examines the Great Wall outlining why it was constructed, Chinese rulers and tribes such as the Mongols, who invaded the empire; the intense manpower required to build the Wall in a time before machines and earth-moving equipment, the people who lived at and protected the Wall and the Communist Party's actions to preserve the Great Wall and promote it to the world. Ages: 9 and up. A Story of hidden arrows, a poisoned king, hidden treasures... It tells the story of how the first statues were discovered by the farmers and the archaeologists later discovery of thousands upon thousands of figures after being buried for more than 2,000 years. It also touches on the story of Emperor Qin and his measures in building the army to protect him in his afterlife. 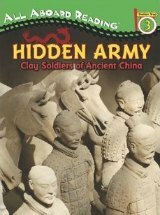 The many color photographs, computer images, maps and charts draw children and adults alike into this fascinating story behind one of China's greatest archeological treasures. Ages: 5-9. For the little ones, this is the "lite" version of the above book by the same author. It combines real photos as well as illustrations to tell the story of this amazing site in a more basic reading level suitable for smaller children. If you will be taking a trip to Xian with the kids it gives you an excellent introduction and will add so much more to the experience when seeing the clay soldiers face to face knowing the story behind them, about the Emperor that command it, the farmers that found the site, etc. Ages: 4 and up, some of the activities adequate for older children or to make with adult supervision. Chinese New Year, the Moon Festival, the Lantern Festival... some of China's famous festivals, the legends, customs, foods and fun crafts to get ready for the festivities. A beautiful watercolor painting introduces each festival. 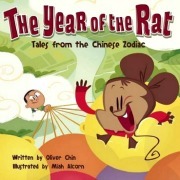 The book is organized by following the Chinese traditions/festivals through the course of a year. Stories, recipes, activities are paired with each holiday to give you a full sense of what happens on each one of these special occasions. Ages: 9 - 12. 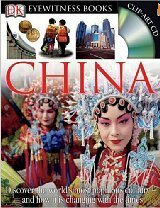 It's hard to beat this colorful hands-on introduction to China, the landscape, history and culture in a very engaging way. Children learn not only how to say "tea" but also to have their very own "tea ceremony". With over 40 activities to try, they will learn about feng shui and applying it to everyday life, try their hand at Chinese Calligraphy and more. Ages: 9 and up. Join Marco Polo as he journeys from Venice to China and encounters the many cultures along the Silk Road. Activities include making a mythical map, creating a mosaic, fun with Feng Shui, making paper, and putting on a wayang-kulit (shadow-puppet play). Just for fun, kids will learn a few words of Turkish, Persian, Mongol, Hindi, and Chinese. Ages: 6 - 12. 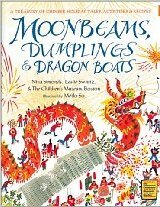 Great activities and crafts including Chinese lanterns, paper dragons, a Panda paper bag puppet, a traditional Chinese hat! Not only for the celebrations, other activities will let you learn about China: a model of the Forbidden City, the Chinese Flag, Chinese play money, the map of China. Ages: 5-10. 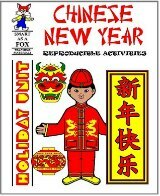 Celebrating Chinese New Year is a fun-filled craft, activity and resource book. 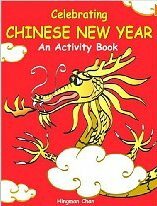 In addition to basic facts and history of the Chinese New Year and Chinese Zodiac, you can make a dragon parade, a paper lantern, and red lucky envelopes following simple directions and examples in this activity book. An excellent resource for parents and teachers! 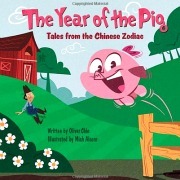 More Children's Books about Chinese New Year on the next section. Ages: 4-8. 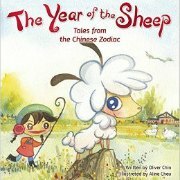 This is one of our favorites, the brush painting drawings and calligraphy are beautiful, the stories wonderfully told, easy for the children to follow and understand what Chinese New Year is about. 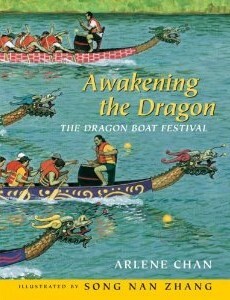 The book covers the highlights of this traditional fest, the Lion Dances, Firecrakers, the Family Fest, Red Envelopes, the Parades and the culmination with the Lantern Festival. "Hiss!" and "Pop!" snap the firecrackers. "Boom!" says the drum to the Lion Dancer. 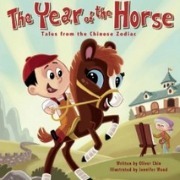 Chinese New Year is here! Beautiful Chinese brush painting and elegant calligraphy illustrate each moment of the New Year celebration. Share the traditions with your child, and learn a few new things too! 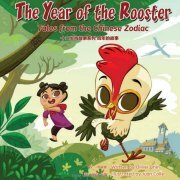 This is our favorite series of Chinese Zodiac stories for the little ones. 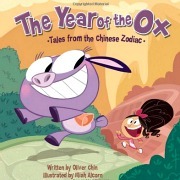 "Tales from the Chinese Zodiac" by Oliver Chin, are fun short stories introducing the different animals of the Chinese Zodiac and their traits, not exactly to learn about the traditions of Chinese New Year per se, but light reads incorporating the animals and their own little adventures. 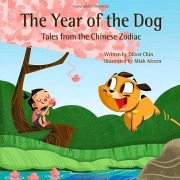 The series started in 2006 with the Year of the Dog, and a new one has been published every year, around Chinese New Year time. We look forward to the entire 12-animal series! Check out which animal corresponds to your year of birth here! Ages: 9 and up. This is a fun one for the kids. There are 15 recipes they can try, including some of our all-time favorites: fried rice, corn soup and sweet and sour prawns or chicken, pork. Most of the ingredients used are all easy to get at your regular grocery store, some like the Chinese mushrooms are easily obtained at the Chinese Grocer. 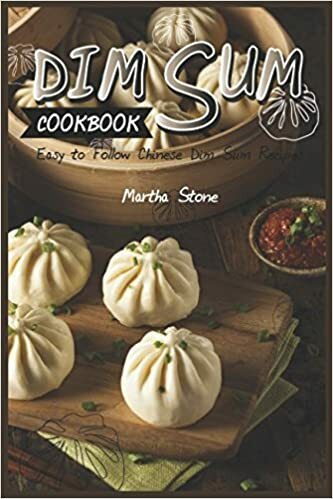 This Dim Sum Cookbook that will teach you 30 easy and affordable, popular Dim Sum recipes that can be made in your kitchen at home. That's right! Each recipe will be equipped with precise ingredient quantities and easy to follow directions so as to ensure that every dish you make is a successful one. This is a fantastic book that is more than just a cookbook, it gives history, geography and combines it with a recipe. The recipes selected from China, Thailand, Morocco, Mauritius, Italy, Spain, Finland, Canada, Mexico, Peru and Brazil are created independently for children and safety is uppermost. Ages: 9 and up. 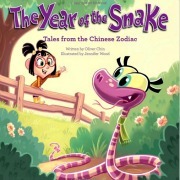 So what does it mean to be born in the year of the dragon? 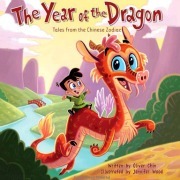 This is not only a great picture book, it also introduces the early readers to the many facts and legends about the origins and meanings of the dragon in Chinese culture and life. Ages: All! 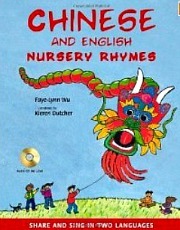 This are Nursery Rhymes but even adults will enjoy this CD and beautifully illustrated book. "Hickory Dickory Dock" shares a spread with "Little Mouse," a rhyme about a mouse that climbed a lamp to eat the oil and can't get down. Chinese songs are paired up with an English counterpart, and presented in simplified characters, pinyin and English translation. 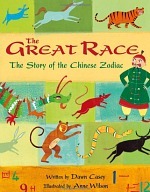 A lot of fun facts to learn about Chinese Culture throughout the book.